Click here to sponsor a Jog-A-Thoner – credit card donations now accepted online! 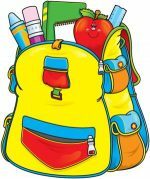 Collect donations – we accept cash, checks payable to Apperson PTA, and credit card donations online. Check the Jog-A-Thon page (www.appersonpta.com/jog-a-thon) for additional Collection sheets and an email template that you can send to family and friends. 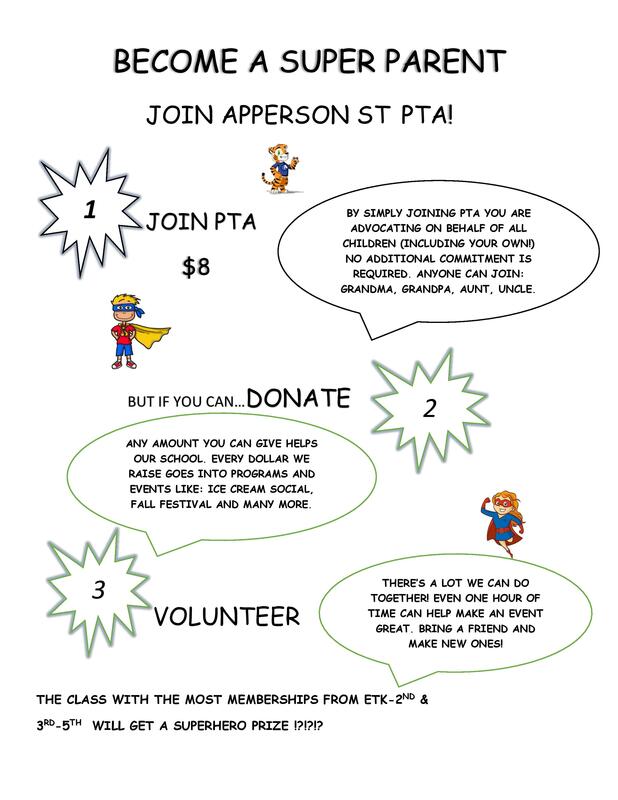 The Apperson PTA is a 501(c)(3) non-profit organization and your donations may be tax deductible. Turn in the Volunteer Sign-Up slip if you are available to help out on Feb. 22. We will need parents to cheer on our students, tally laps, hand out water, etc. Turn in all donations on or before Feb. 22. 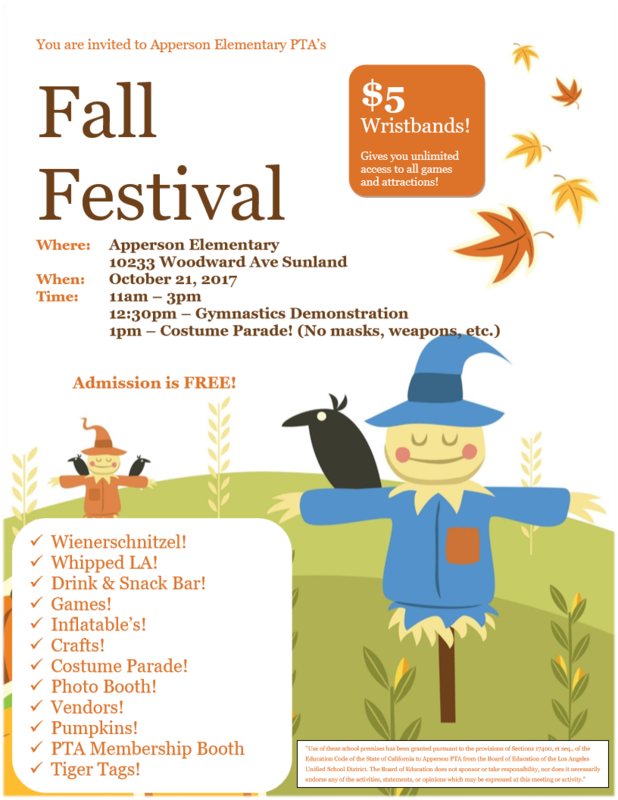 This is a FUN event and every student must turn in a SIGNED PERMISSION SLIP in order to participate with their class. Even if you did not collect donations, please sign and return the pledge form/permission slip. Remember, all students that participate will receive a participation TIGER TAG! 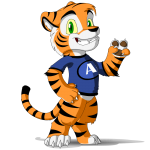 The student who raises the most money and the student who runs the most laps from each class will be presented with an exclusive Tiger Tag and will be announced at the Morning Assembly! Posted in Events, Fundraising, Uncategorized, Volunteers	| Tagged fundraising, jogathon	| Comments Off on Sponsor a Jog-a-thoner! 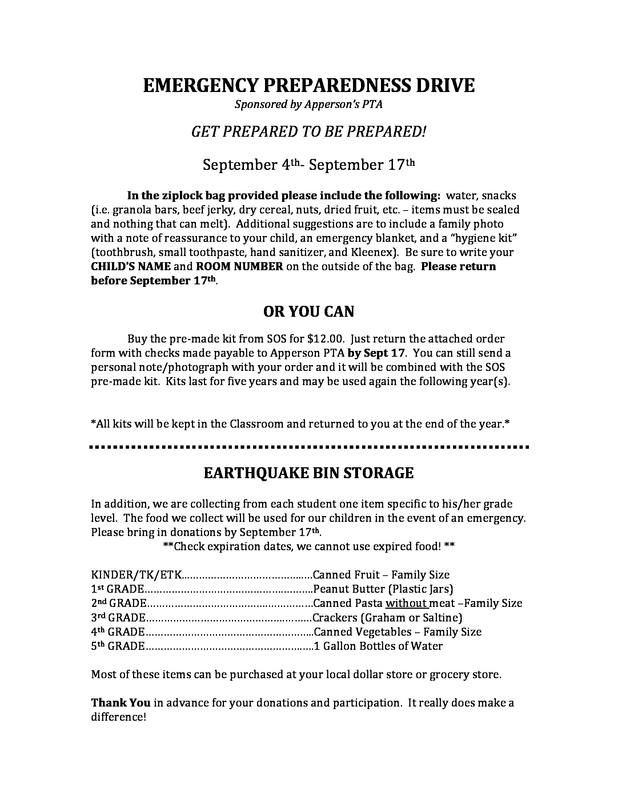 Please join us on Monday, October 8 at 8:15 am as we update the Apperson Emergency Supply Bin! We need volunteers to help clean out the old expired items and restock with new supplies. This is a fun and simple way to help out our school! 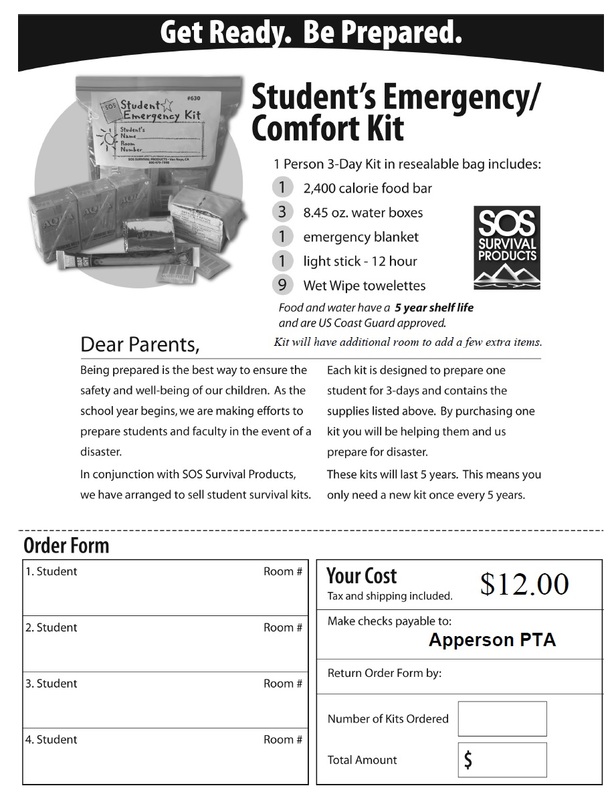 Please contact our Emergency Preparedness Chair, Elise, at emandliti@yahoo.com if you would like to help. 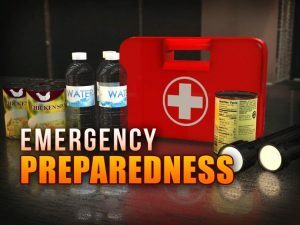 Posted in Emergency Preparedness	| Comments Off on Volunteers Needed – Earthquake Bin Clean Up ! Donate Now! Click Here to Sponsor a Read-a-thoner and Donate by Credit Card/PayPal! This year’s Read-a-thon will run from September 17 through September 28, 2018. This is a fun event to encourage kids to read and build literacy skills while also raising money for the Apperson PTA without any selling. 100% of the proceeds go straight to the PTA to support our mission of benefiting all students at Apperson. Collect pledges, read, read, read and then turn in all donations by October 3 in order to be eligible for a prize! 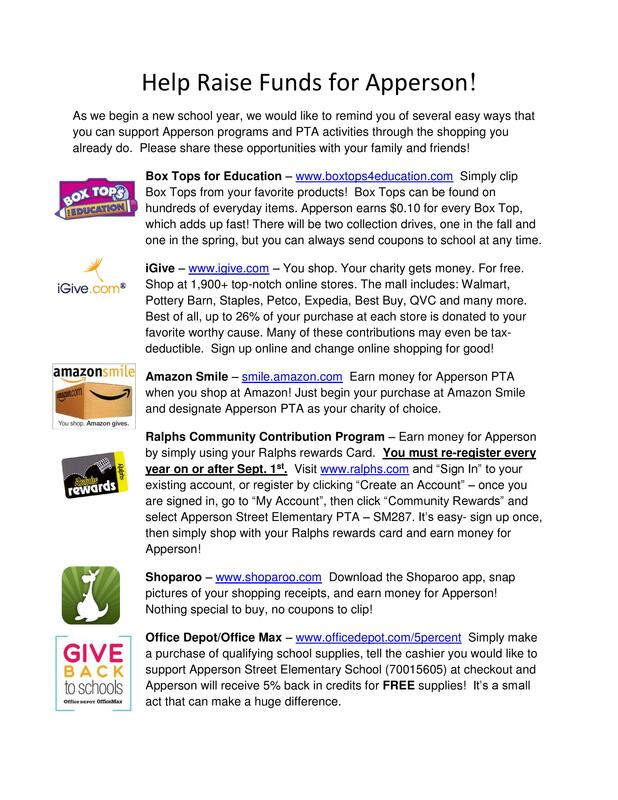 Go to www.appersonpta.com/readathon for all of the details and a sample email template that you can use to send to family and friends to ask for their support! 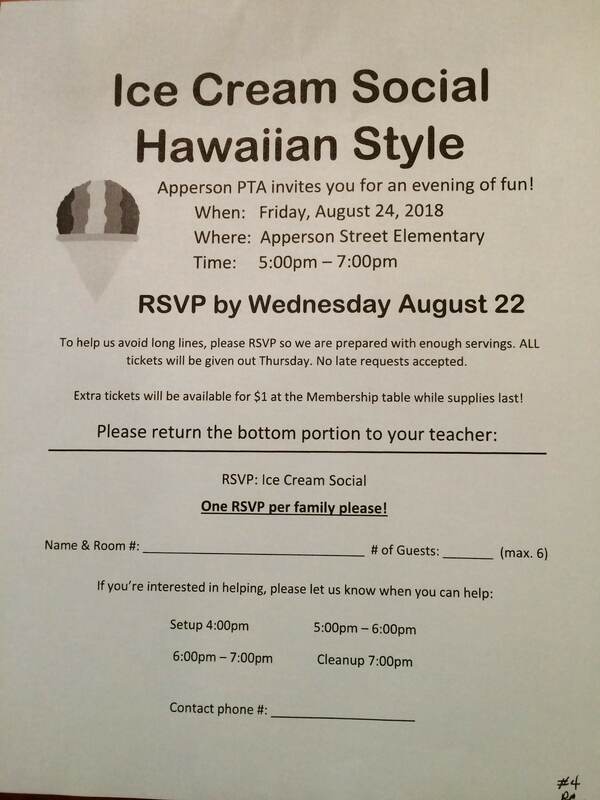 If you have any questions, please contact us at fundraising@appersonpta.com. Posted in Uncategorized	| Comments Off on 4th Annual Apperson PTA Read-A-Thon! Look for the following flyers coming home this week! Good news! The PTA will be selling PIZZA by the slice and bottled WATER for $1 each at the Ice Cream Social this Friday night. Limited supply. Cash only. Your free shave ice tickets will be sent home tomorrow – please check your child’s backpack or homework folder. A limited number of shave ice tickets will be sold at the event for $1. You MUST bring your ticket in order to receive your free shave ice! There will also be music and free leis and stamps. We hope to see you and your family there! Please return the form by Wednesday, August 22 in order to get your FREE shave ice tickets! We are looking forward to seeing you Friday night! Everyone is welcome and encouraged to attend. 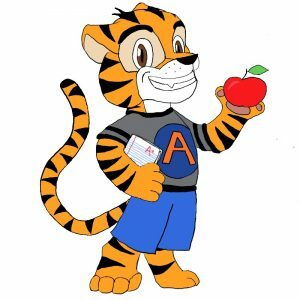 Meet other Apperson parents and find out about all the events we have planned for this year and how you can get involved. Coffee and light refreshments will be served. We look forward to seeing you there! 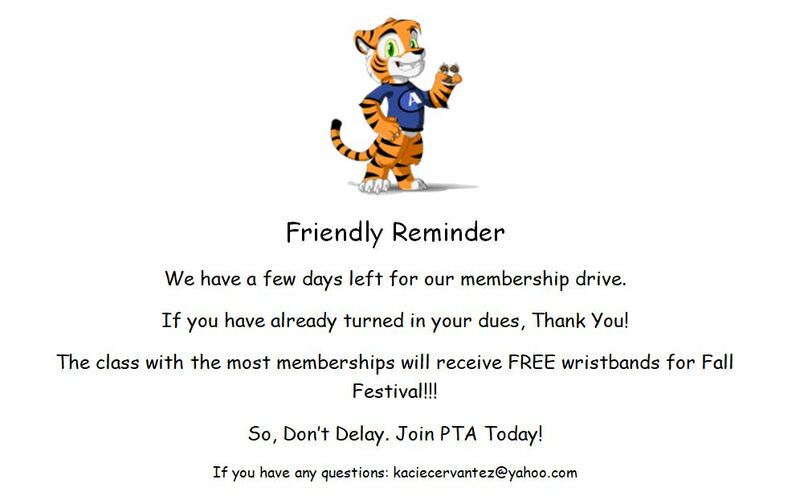 The February PTA Newsletter is now online! 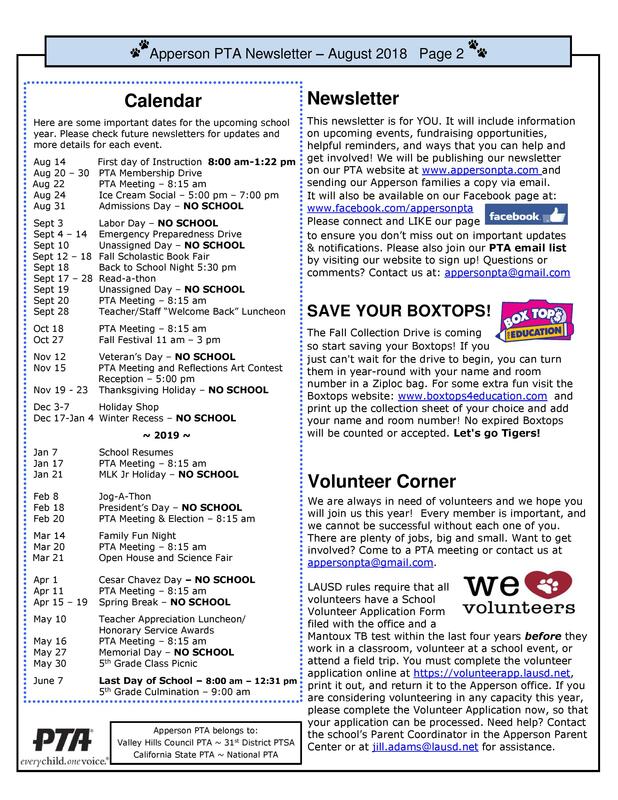 All future newsletters will be posted on our website at www.appersonpta.com/newsletter for your convenience! 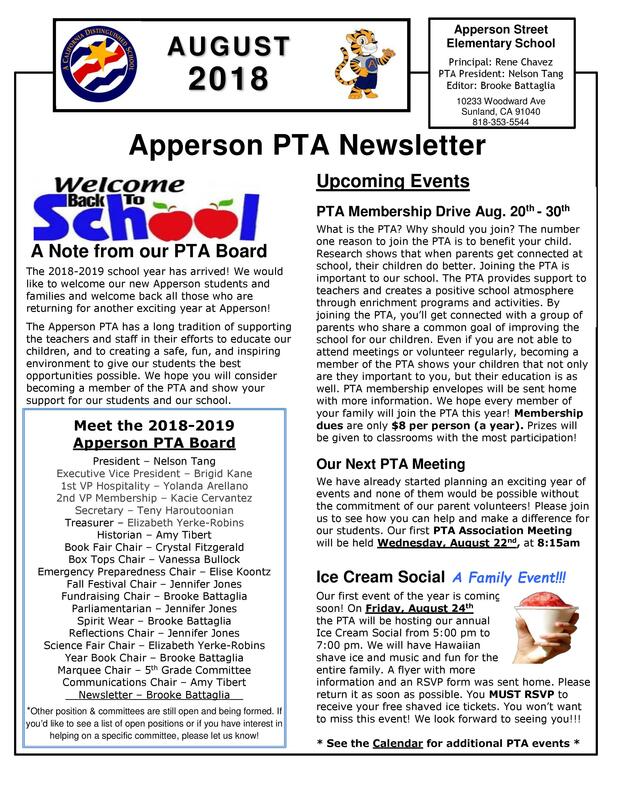 Check out the current newsletter here: Apperson PTA Newsletter – February 2018. PayPal invoices have been sent to 5th grade parents with balances for the 5th Grade Trip and/or chocolate, if we have your email address. Note that the invoice amount includes a surcharge if you choose to pay with a debit or credit card through PayPal. If you would like to send cash or a check to school, there is no surcharge. If you did not receive an invoice and would like to pay online, we may not have your email address! Please provide it here, and you will receive an email with a link to your PayPal invoice.